Unconditional love can do amazing things when it comes to rebuilding trust in your son after abusing drugs. “Unconditional love isn’t just what we feel. It’s what the object of our love feels: love without strings attached. That means our child doesn’t have to be, or do, anything in particular to earn our love. We love her exactly as she is,” says Dr. Laura Markham to Psychology Today. But how can you unconditional love someone you don’t trust? Trust is a fundamental precursor to love, and when that is ruined, where do you go from there? The answer lies in rebuilding that trust with the power of the love you have inside of you for your son. To do this, Dr. Markham suggests the following. Take time to remember everything that has happened, as much as it hurts you. This will help you grieve some of the ideations and idealizations you had for your son. It’s time to see him as he truly is – a human being who makes mistakes. Through this process, you will start to see how strong he is because of his work in recovery. There’s a reason your son turned to drugs. Sure, it may have been recreational at first, but continuing to use means that he either is trying to self-medicate or doesn’t know how to deal with the withdrawal symptoms when he tries to stop using. Instead of looking at your son’s addiction as controllable, look at it as something he can’t control. He needs help. You can give him this help by understanding what he is going through, supporting him without falling prey to enabling, and encouraging his recovery. As you see him making progress, you will soon start to see who he really is – a strong human being who can turn an incredibly hard situation into something positive that will help him improve his life. This will bring back that pride you have in your son, which will foster the redevelopment of your trust in him. Throughout the process of your son’s recovery, he will relapse. Approximately 50% of people in recovery relapse, and the success of recovery is determined not by relapse but the ability to get back to being sober and clean after the episode. It’s normal to feel angry when your son relapsed, but don’t let it consume you and ruin the trust you’ve redeveloped in him. Understand that it’s part of the process, and he will learn from the experience. He will learn what his triggers are, and how he can avoid them next time. In time, he will know exactly what to do to avoid relapse. You can develop trust in your son once again. If he hasn’t started recovery yet, it may be the best way to get him clean and on a path that will help you and him reinstate the bond you both shared with one another. Boarding schools for teens who struggle with substance abuse disorders is an effective option. These schools have therapeutic programs that include individual, group, and family counseling to help your son discover why he is using, and how to stop. It can also help families reconnect, so when children graduate and go back home, they can live in peace and happiness with the new tools they’ve learned through the program. 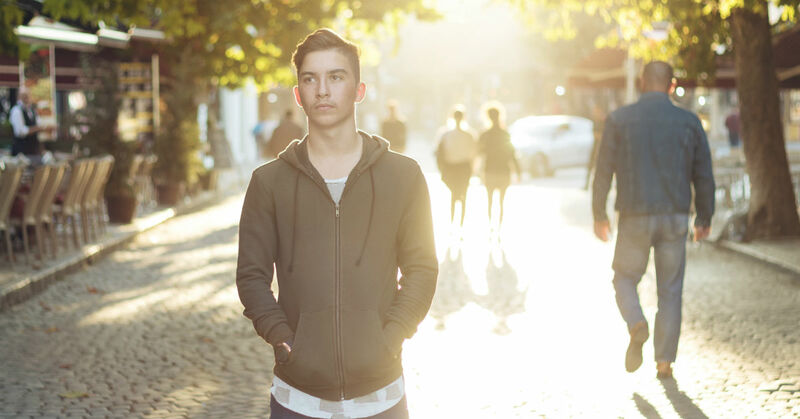 Consider a boarding school for troubled teens for your son, and start rebuilding trust in him for a better, more connected, and loving relationship.